The Personal Insolvency Act 2012 introduces new mechanisms to deal with personal debt including debt settlement arrangements and personal insolvency arrangements. Whilst the Act also amends the law in relation to bankruptcy it provides that prior to being adjudicated bankrupt consideration must be given by the debtor and the Court to these new arrangements. Section 145 of the Act provides that a debtor may not apply to be adjudicated bankrupt unless he swears an Affidavit that prior to presenting the application he has made reasonable efforts to reach an appropriate arrangement with his creditors relating to his debts by making a proposal for a debt settlement arrangement or a personal insolvency arrangement to the extent that his circumstances would permit him to enter into such an arrangement. (b) A personal insolvency arrangement. Where the Court forms such an opinion the Court may adjourn the hearing of the application to allow the debtor an opportunity to enter into such an arrangement. It is also interesting to note that Section 146 of the Act, which relates to the petitioning creditors costs, provides that when the Court is considering making an Order regarding the petitioning creditors costs, it will have regard to whether or not the petitioning creditor had unreasonably refused to accept proposals made in connection with a proposal for a debt settlement arrangement or a personal insolvency arrangement. 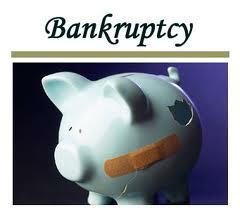 What is the position of pensions in bankruptcy? Section 65 of the Bankruptcy Act 1988 provides that whenever a bankrupt is in receipt of or is entitled to receive any pension, the Court may make an order for the payment of that pension to the Official Assignee having regard to the family responsibilities and personal situation of the bankrupt. Section 150 of the 2012 Act adds to the Bankruptcy Act 1988 and provides that where a person is adjudicated bankrupt and he or she may become entitled to payments under a relevant pension arrangement, assets relating to the arrangement shall not vest in the Official Assignee. (c) will become entitled within 5 years of the date of the adjudication to perform the act or exercise the option referred to. Furthermore the Personal Insolvency Act also allows the Official Assignee to look at the pension contributions made by the bankrupt prior to adjudication in order to examine if they were excessive. If pension contributions made by the bankrupt within the three years prior to the adjudication were excessive in view of the bankrupt’s financial circumstances at the time those contributions were made, and had the effect of materially contributing to the bankruptcy’s inability to pay his or her debts or substantially reducing the sum available for distribution to the creditors, the Official Assignee can apply to Court for an Order to have those contributions vested in the Official Assignee to be made available for distribution to the creditors. While the amendment of the bankruptcy regime by the Personal Insolvency Act 2012 such that every bankruptcy stands discharged on the 3rd anniversary of the date of the adjudication has been widely publicised, the circumstances in which that period can be extended by up to a further 5 years are less well known. Section 157 of the 2012 Act provides that where the Official Assignee or a creditor believes that the bankrupt has failed to co-operate with the Official Assignee in the realisation of the assets of the bankrupt, or has hidden from or failed to disclose to the Official Assignee income or assets, the Official Assignee or a creditor of the bankrupt may apply to the Court to object to the discharge of a bankrupt from bankruptcy after 3 years. If the Court considers it appropriate to do so it may order that in place of the discharge after 3 years, the bankruptcy shall stand discharged on a later date as the Court may consider appropriate but not later than the 8th anniversary of the making of the adjudication order. Furthermore pursuant to section 157 of the 2012 Act prior to the bankruptcy being discharged the Official Assignee may apply to Court for an Order requiring the bankrupt to make a payment to the Official Assignee from his income or other assets for the benefit of his creditors for up to a further 5 years. This is known as a Bankruptcy Payment Order and can only take effect for a maximum period up to the 8th anniversary of the date on which the bankrupt was adjudicated bankrupt. Norma Lane is a solicitor with FitzGerald Solicitors specialising in Commercial Litigation. Norma is a certified Personal Insolvency Practitioner (‘PIP’). FitzGerald Solicitors are located at 6 Lapps Quay, Cork.